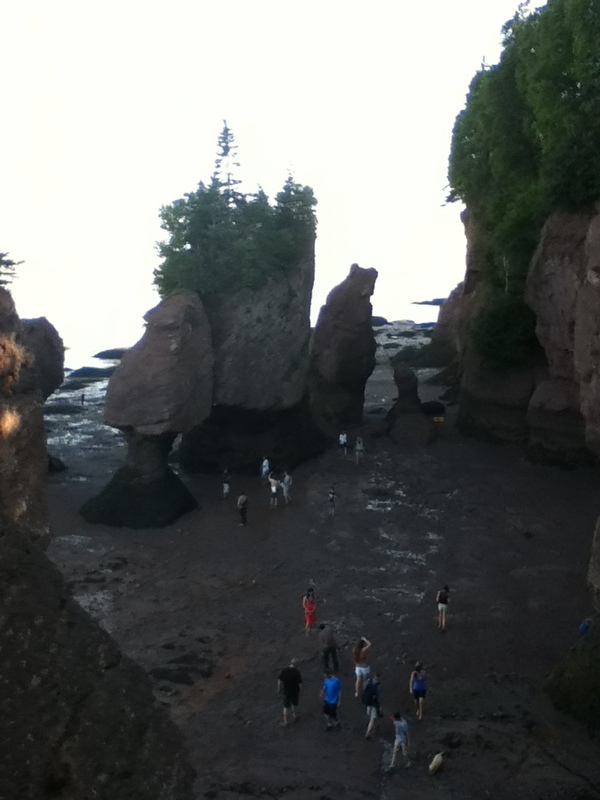 While on vacation this summer, we took some time to visit the Hopewell Rocks. We have been there before, and certainly looked forward to the return visit as it is an amazing place. On this particular day, we arrive about 2:00 p.m. to observe the water at high tide, then returned at 6:00 p.m. to explore during the low tide time of evening. 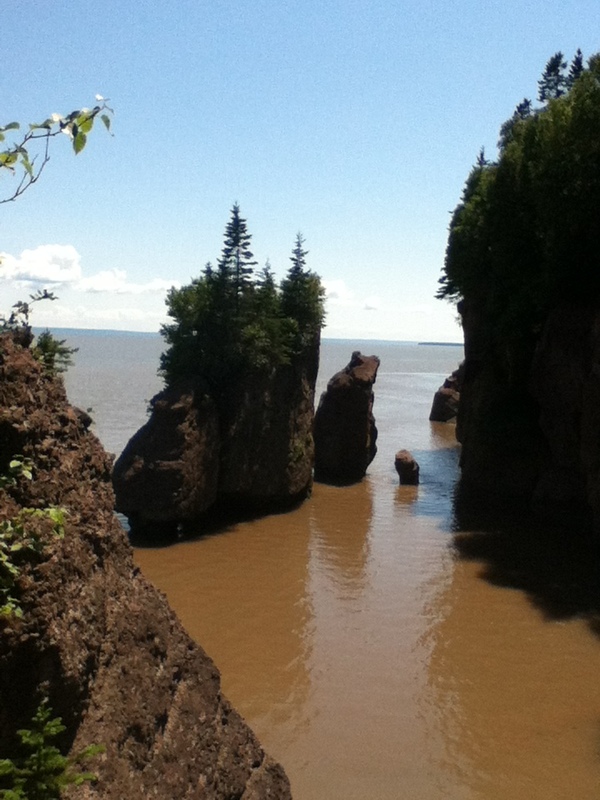 I am still astounded at the 41 foot vertical difference in the high tide, low tide water heights. 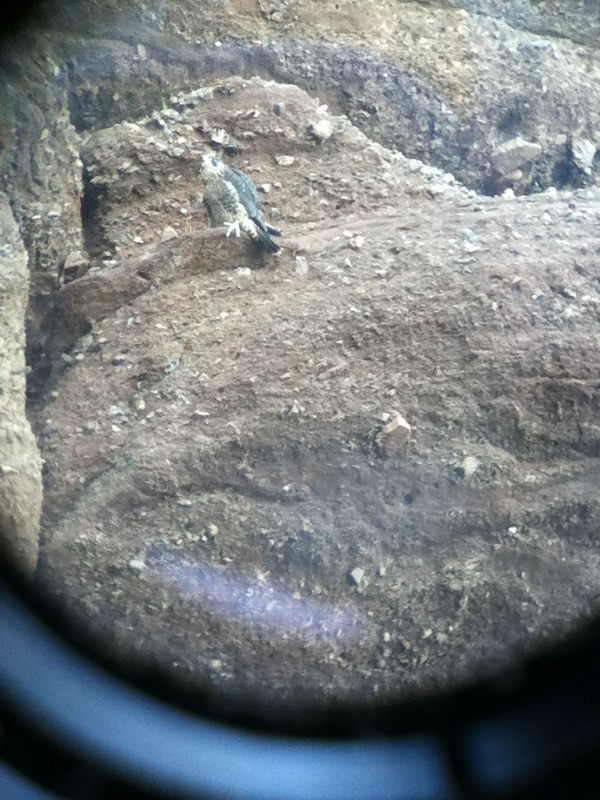 While walking around, a number of us noted a bird screeching from high up one of the rock cliffs. 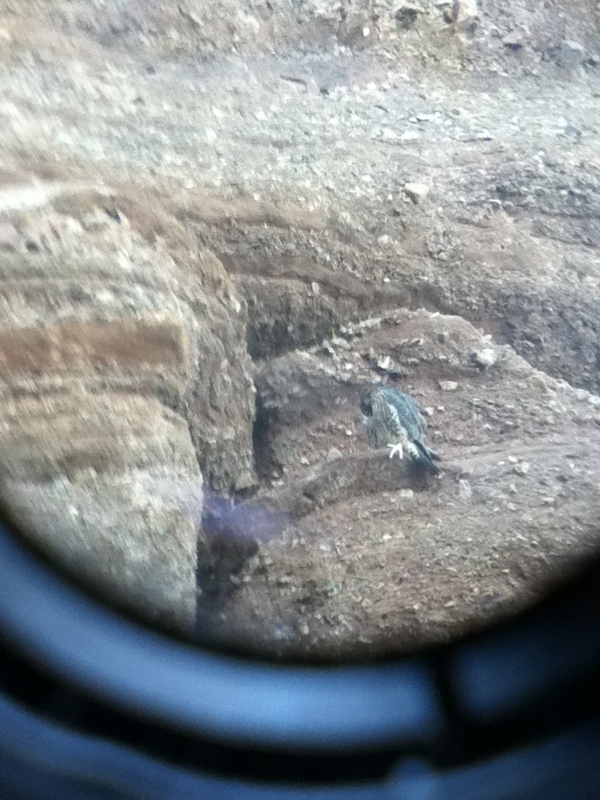 It turned out that the bird was a baby Peregrine Falcon, almost old enough to fly. Unfortunately, I did not have a high powered camera with me, and the lighting was somewhat on the dark side, so it was time to get creative. 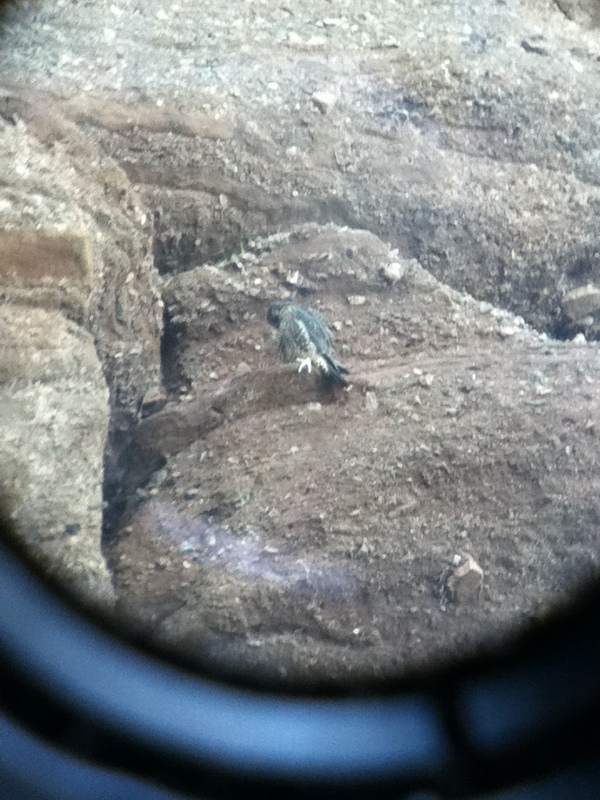 The following 3 pictures were taken using an iPod touch ‘looking’ through a set of binoculars. Considering the distance, lighting and make shift approach I was able to get some interesting shots.